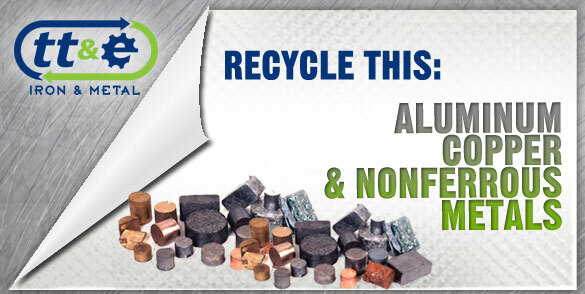 Nonferrous metals, including aluminum, copper, lead, nickel, tin, zinc and others, are among the few materials that do not degrade or lose their chemical or physical properties in the recycling process. As a result, nonferrous metals have the capacity to be recycled an infinite number of times. While in terms of volume, nonferrous scrap makes up a small percentage of the total quantity of material recycled in the United States, by value nonferrous metal scrap — including precious metal scrap — accounts for more than half of total U.S. scrap recycling industry earnings. More than nine million metric tons of nonferrous scrap was processed in the United States last year from a wide array of consumer, commercial and industrial sources. Nonferrous scrap is then consumed by secondary smelters, refiners, ingot makers, fabricators, foundries and other industrial consumers in the United States and in approximately 90 countries worldwide. These consumers rely on nonferrous scrap as a competitive, environmentally preferable and energy efficient input to manufacture brand new products, continuing the nonferrous metals lifecycle. TT&E Iron and Metal accepts both ferrous and nonferrous metals for recycling. Non-ferrous metals are generally more expensive than ferrous metals because of their different properties like being lower weight, non-magnetic, and in some cases having higher conductivity. For more information please be sure to review our metal guidelines. TT&E Iron & Metal looks forward to processing your recyclables! Give us a call anytime with your questions! (919) 797-9190 or stop by our convenient Garner NC location.